I was a little concerned when my husband’s work changed, and we didn't have dental insurance, and because of that, I had to leave my dentist in Trenton, who had been taking care of my family for almost 6 years. But I did some research and found this plan. This plan is awesome. On the Doctors Network website, I found Academy Dental when I searched for dental insurance in Hamilton, NJ. When I was at my appointment I even cried in front of the hygienist because of some problems with my teeth, but she was very caring about my issues. The dentist Dr.Thind tried to make me feel comfortable and tried to get rid of my fears. She seemed to really care about my well being. I’m still worried about the state of my teeth, but I believe they will be able to fix my problems and provide me with great service. Thank you for caring and being friendly, I look forward to coming back. I hadn’t seen a dentist in Hamilton in over 8 years and was absolutely dreading going. But I was really surprised by my time here. I got to watch my favorite HGTV show the whole time and everyone made me feel very comfortable. 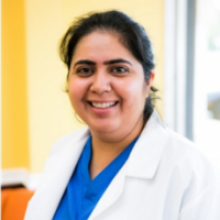 Dr. Thind helped me thoroughly understand how she was going to approach all the work I needed to get done and helped me understand the fees under the plan. The dental assistant helped me get rid of my fear of the dentist. The whole staff is very kind and knowledgeable. I wish I could give this place more than 5 stars! I hate visiting the dentist so much that I haven’t been in years, but when I finally decided it was time to come in I was very anxious when I came in for my first visit at Academy Dental in Hamilton, NJ. I’ve been having a lot of toothaches and wanted to see what was going on. The staff strived to make comfortable and were very kind. I was only in there for two hours, but they found the problem and fixed it right away. I had imagined that this would be just an assessment and then I would have to make another appointment to get the work done, but they were able to get it all done then and there. I went back a week ago for a cleaning and some fillings and everything was super easy. I'm so happy to no longer be in pain because of toothaches, and my teeth look and feel great. Dr. Thind and her staff are awesome. If you need any dental work done you should come to Academy Dental. Unlike dental insurance, a direct dental plan with Dr. Thind and Doctors Network is a membership that gives you access to significant discounts on almost all of our services. Everyone can join for a low monthly fee of $24.98 and a one-time activation fee of the equal amount. The cost of membership is typically a fraction of most dental insurance premiums. Patients who sign up for a direct dental plan through our office in Hamilton can attend routine preventive exams and cleanings for only $25 per visit. This includes X-rays, when necessary, and the cost does not change no matter how many times you visit per year. When cosmetic or restorative treatment is required, the costs of your treatment will be discounted by up to 90%, including fillings, dental crowns, dental implants, Invisalign® and more. Dr. Thind, our team, and the experts at Doctors Network share the common goal of making dental care simpler, more affordable, and more attainable for all of our patients. Please note that a direct dental plan is not insurance, and is not designed to replace your existing coverage. We offer this direct dental plan to help reduce your out-of-pocket expenses and therefore maintain your oral health. If you have questions about Doctors Network, or are ready to sign up, then contact Dr. Thind at Academy Dental today, or call Doctors Network at 1-866-800-3168. Routine family dentistry is as essential to your smile as brushing and flossing your teeth. For example, preventive appointments are necessary to avoid dental issues such as tooth cavities and periodontitis. At our Hamilton, NJ dental office, Dr. Thind and our team offer a wide range of family dental services to help your family enjoy a lifetime of beautiful smiles. When it comes to your oral as well as your overall health, prevention is the best medicine. Therefore, the main focus of exceptional dental care is preventing dental diseases from developing in the first place. Besides keeping your teeth clean with good hygiene, professional dental cleanings and check-ups help stop the development of bacteria-rich plaque. Other treatments, such as teeth-whitening, clear braces, and treatment for teeth-grinding, can also help you manage existing issues before they worsen. At your general dentistry appointment, your dentist will thoroughly inspect your teeth and oral tissues for signs of trouble. Then he or she will consult with you about appropriate treatment options to stop the issue from growing worse. However, caring for your smile will still rely on routine visits with your general dentist. Make an Appointment with Your Hamilton General Dentist Today! By helping you avoid serious dental issues, general dentistry is essential to keeping your smile healthy and beautiful. To make an appointment, call Dr. Thind's dental office in Hamilton, NJ today at (609) 403-0710.